San Diego, CA (July 29, 2015) – Huntington Capital, a California-based mezzanine debt and private equity firm, today announced its new name, HCAP Partners. The firm’s new logo features a “plus” sign, representing the value HCAP provides to small and middle market companies in the Western U.S., a market segment underserved by traditional sources of growth capital. As profiled on its new website, www.hcapllc.com, HCAP Partners provides flexibly-structured growth capital “plus” experienced and accessible partners who help portfolio companies stimulate economic growth for a positive socio-economic impact. Additionally, the firm seeks to generate above market-rate returns for its investors. “The name HCAP Partners reflects fifteen years of experience as Huntington Capital and, more importantly, our partnerships with business owners and investors seeking to build profitable, socially responsible companies,” noted Tim Bubnack, HCAP Partners managing partner. Founded in 2000, HCAP Partners has managed more than $200 million in total assets across three funds. It presently is investing from HCAP Fund III, L.P., a $92 million fund that closed in December 2014. 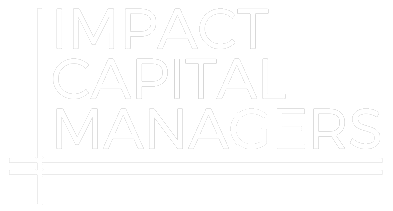 As a testament to its leadership position as an impact investor, HCAP Partners was selected for the Impact Assets 50 in 2014 and 2015 and featured in the book The Impact Investor: Lessons in Leadership and Strategy for Collaborative Capitalism. HCAP Partners is a provider of mezzanine and private equity for underserved, lower middle market companies throughout California and the Western United States. HCAP Partners invests $2 million to $9 million in established businesses in the healthcare, technology, services and manufacturing industries generating between $10 million and $75 million in revenues. The firm has invested in over 50 companies since it was founded and proactively works with its portfolio companies to achieve favorable financial outcomes and measurable impact value creation. Partners Tim Bubnack, Morgan Miller and Frank Mora lead HCAP Partners’ management team. For more information, please visit www.hcapllc.com or call (858) 259-7654.